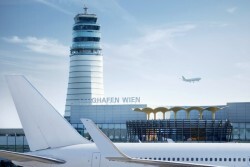 In a meeting on 15 December 2010, the Supervisory Board of Flughafen Wien AG dealt with the draft report on the terminal extension VIE-Skylink that was prepared by the Austrian Federal Accounting Office. In the opinion of the Supervisory Board, the members of the Management Board did not violate any provisions of stock corporation law or criminal law. This article includes a total of 356 words.